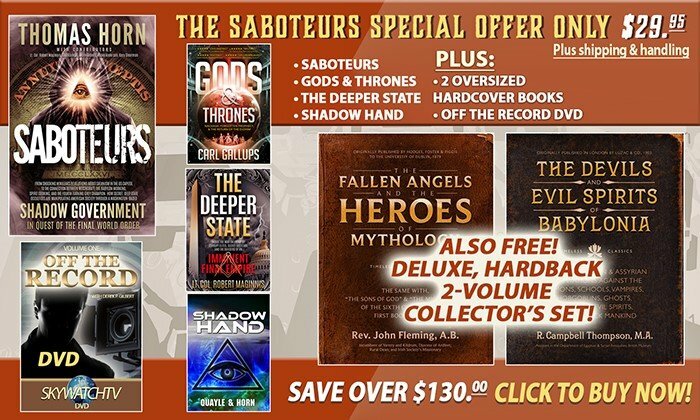 SABOTEURS, the Deeper State, and Gods & Thrones are the most critical and groundbreaking works to date from Defender Publishing and SkyWatch TV. Learn the secret societies and the occult plans unfolding now in Washington, DC, and a harrowing plot by Deep State Aliester Crowley and Masonic devotees that hold an almost unbelievable secret they do not want you to understand: American society is being manipulated through a Washington-based Shadow Government in quest of that Final World Order prophesied in the books of Daniel, Revelation, and on the Great Seal of the United States! WILL YOU JOIN US AND BECOME PART OF SKYWATCH TV HISTORY? HERE’S WHAT YOU NEED TO KNOW!